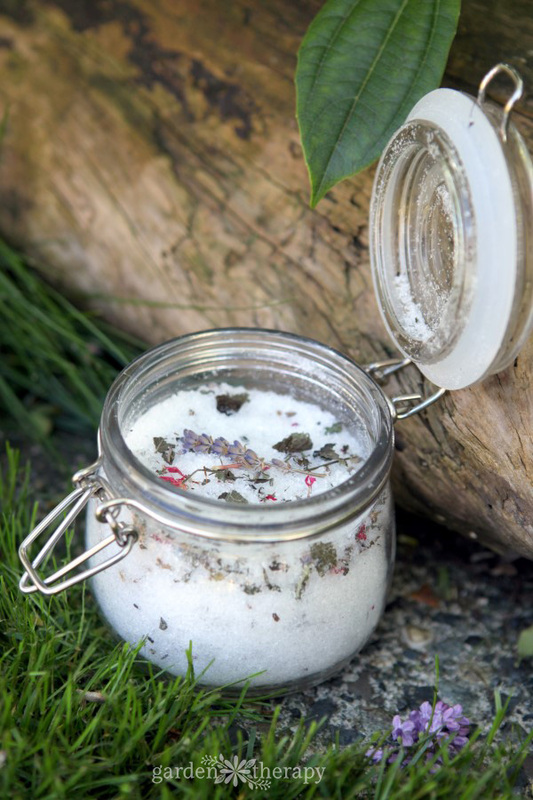 There are so many reasons why herbal foot soak is good for you, it’s surprising that it isn’t a more common everyday practice! Soaking your feet in warm water with salts and botanicals is a quick and easy way to relieve muscle aches and stiffness. It can reduce inflammation and improve circulation. It can also soften dry skin and deodorize feet. But more than anything else, it feels so darn fantastic. 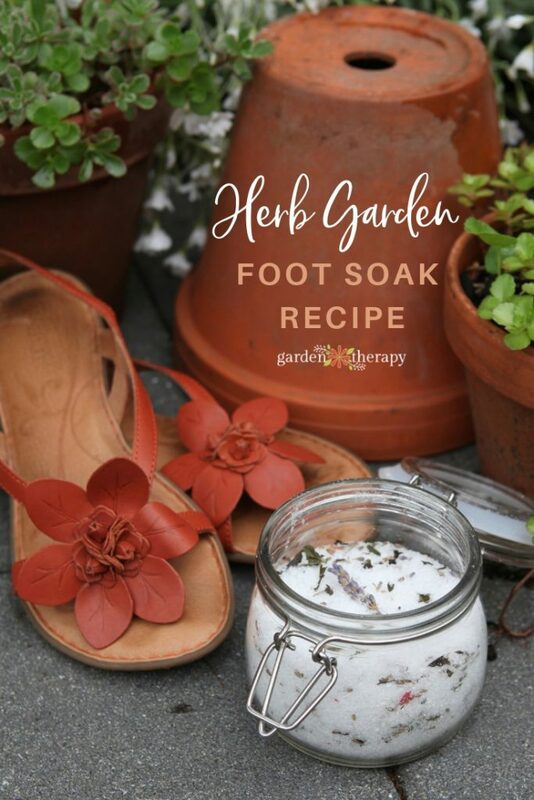 In gardening season, I use this soak to clean up my dirty, achy feet, especially those summer days when I end up gardening barefoot or in flip flops for three hours when I just went out to harvest some mint (I know you have been there too!). In the winter, my feet get chilly and the skin gets dry, so I use this foot soak as part of a three-step routine to pamper my feet. Three EASY steps, I might add. 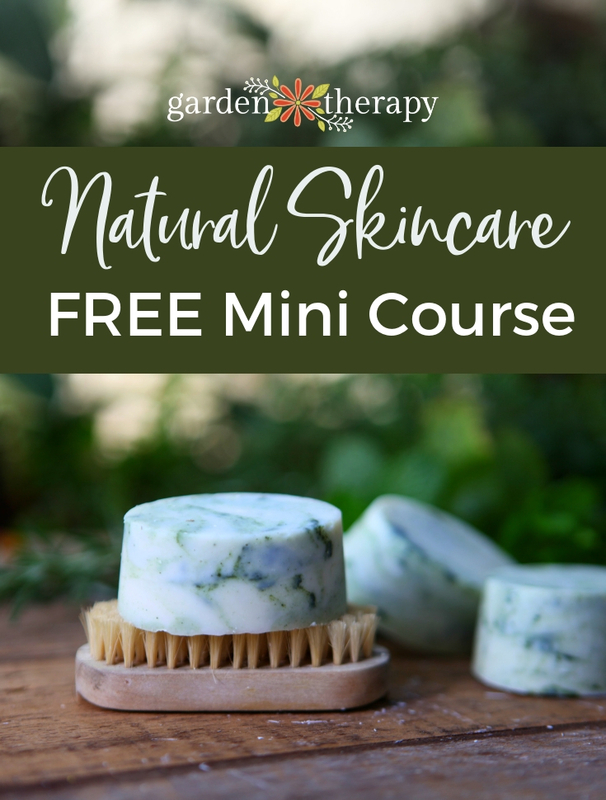 Soak using the recipe below, then use a foot scrub to remove the rough skin, and finally, moisturize with foot balm. Here is a little video showing just how easy it is to make this soothing foot soak. For detailed instructions, scroll down. The base of this recipe is Epsom salt, which is the common name for magnesium sulfate. Epsom salt is often used in a bath or a foot soak to ease pain, soften skin, improve immunity, and draw out toxicity. I add herbs and botanicals as well as essential oils to this soak for additional benefits. Herbs have longstanding reputations for their healing properties, some of which are noted below. The resulting blend smells amazingly good, works like nothing else I’ve tried for soothing my feet, and looks pretty enough to give as a gift! 1. Fill a pretty jar about halfway full of the Epsom salt. 2. Add essential oils, replace lid, and shake. 4. Add more Epsom salts to fill the jar, replace the lid and shake again. 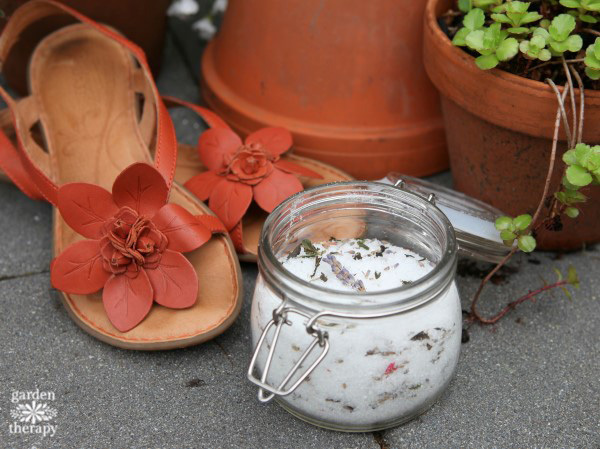 How to Use an Herbal Foot Soak! You can also use this recipe in the bathtub! Use 1 cup for a small bath and 2 cups for a larger tub. 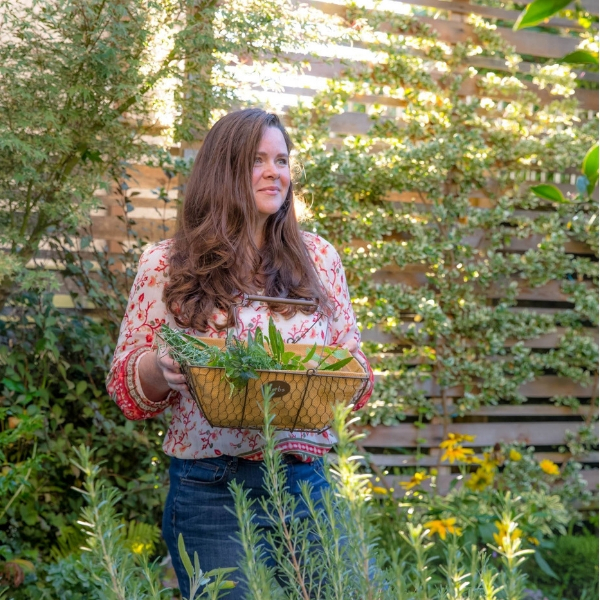 At the end of the bath, use a drain strainer to collect the herbs and toss them in the compost as opposed to sending them down the drain.